Hi guys! 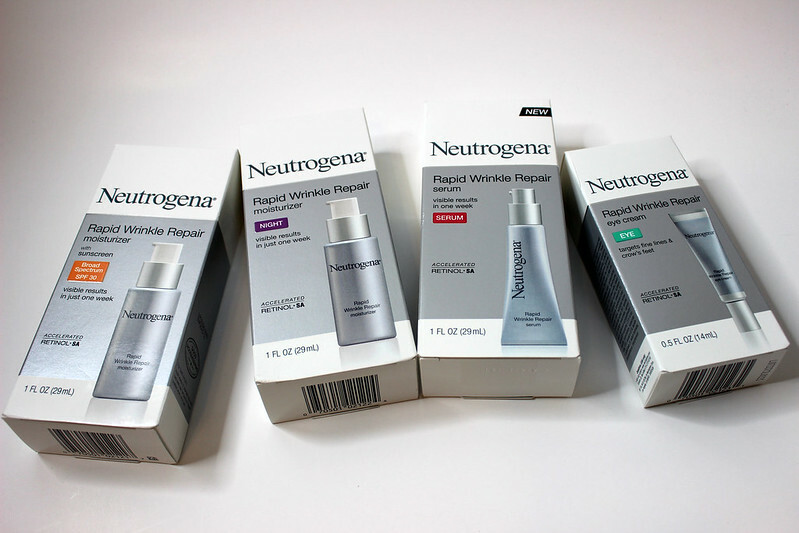 A couple of weeks ago, I was sent the Neutrogena Rapid Wrinkle Repair with Retinol. I got 4 of their products in. The first one is their moisturizer, which is used during the daytime, because it has SPF 30 in it. Then there was the serum, the nighttime moisturizer, and the eye cream. 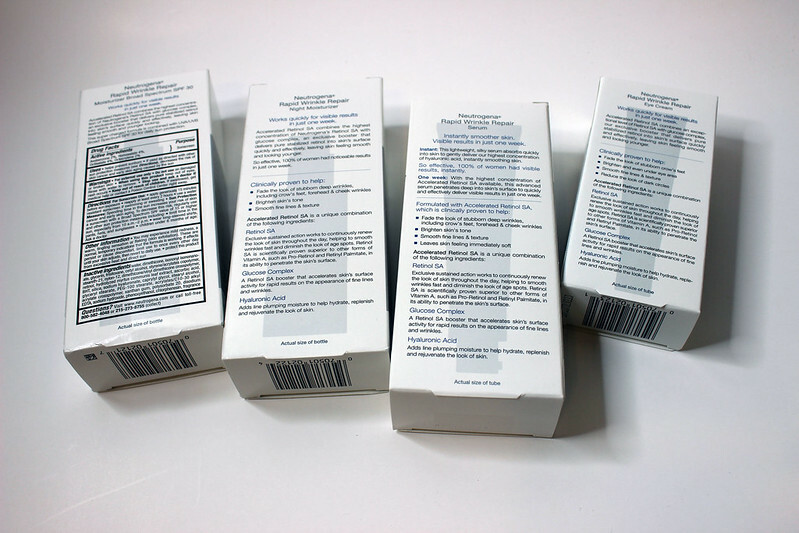 I've only tested out two of the four products, but so far they work really well for a drugstore brand. Disclosure: Items were sent from Neutrogena for me to try out. Hey I use this! I use the serum. I would not say I see a reduction in lines per say but I it does make a difference, I got a lot of compliments on my skin when I started using it. These look great :D Glad to hear they are working out well so far!